Phone, Everlasting: What If Your Smartphone Never Got Old? : All Tech Considered For many of us, when a phone starts slowing down we face a choice: spend the money to try to fix it or get a new one. But could there be a phone that never loses its luster? If I told you there was a way to keep using your phone forever, would you want to? In true unscientific form, I surveyed some phone users in downtown Washington, D.C.
"Sure," says Jeremy Register, who replaced his old phone in January because it broke. "It seems that price keeps escalating every year. I mean, this phone does everything that I need it to do, so I don't need another phone unless this one somehow conks out, like they all do." "It would appeal to me just because I don't like the hassle of having to go decide what you want on your new phone," says Kim Thomas, who has a 3-year-old iPhone 5S. "No, I don't think so, because it wouldn't have all the newest features," says Daniel Paulino, who's the kind of guy who's into "whatever is newest." "I'd rather have a new one every time it comes out," he says. Americans are actually pretty split when it comes to craving the latest phones, according to real research. For years, telephone contracts determined the length of our telephone commitments. Now that contracts are disappearing, users are dividing down the middle. "It has basically led about half of the people in America to say, 'I'm fine with the phone that I have, and I will use that phone until it breaks or it is so old that it no longer does what I want,' " says Roger Entner, who has been studying our phone-buying habits at Recon Analytics. "The other half roughly continues to buy a phone every year because they want the newest, the best, the most fashionable." Does the phone's technology have anything to do with the two-year lifespan average? Jones, the micro-soldering expert behind iPad Rehab, will take on anything with a circuit board: phones, tablets, drones, electronic cigarettes — or, you know, whatever her four young children might break. "One particular phone that got flushed down the toilet, which I then smashed in my front yard, took it apart and it needed a board repair, a motherboard repair," she says, recapping the origin story of her early venture MommyFixit. She has now resuscitated thousands of devices. She says smartphones tend to feel old after about two years, though she argues they aren't too old for repairs until they're about 4 years old. "Over time you'll find a mismatch between your hardware and the current version of the software ... and that message doesn't really get out to everyone," Jones says. How Much Do Your Text Messages Contribute To Global Warming? "You could use a phone for a really long time, if you didn't try to upgrade the software and end up in a situation where you're trying to run software that's just too bulky and difficult for the hardware that you bought to run it," she says. So, that's one way you could try to use your phone for a longer time, though you'd be missing out on the latest features and security updates. But what if you didn't have to? In 2013, Dutch designer Dave Hakkens launched a project that chased that very dream — of a cool, but everlasting phone — for environmental reasons. "I 100 percent started this to reduce the amount of e-waste ... so I'm definitely in the tree-hugger group," Hakkens says. "And that's still the main goal — try to have a phone that grows with you but doesn't generate that much waste." His project, Phonebloks, was a concept of a modular phone — a device that's built sort of like a 3-D puzzle, with each component like the screen, camera, battery and processor all easily detachable and replaceable on their own. Phonebloks wasn't the first modular design idea out there. But the YouTube video hit a nerve and took off on the Web, launching a new global community of modularity enthusiasts. Since then, several phone-makers in China and Europe have laid plans to develop a modular phone. There's a Finnish take on it called PuzzlePhone, and a Dutch one called Fairphone, which focuses on ethical manufacturing and use of conflict-free resources. But the big market test of the idea could come later this year, when Google is slated to pilot its own attempt at a modular phone, called Project Ara. Google promotes Ara as a smartphone that can be tailored to each user and a way to innovate hardware as fast as we've done with apps. Ara was originally supposed to pilot in 2015, but has now been rescheduled for 2016. Google spokeswoman Victoria Cassady says there aren't any further updates on the timing beyond what the project has shared on Twitter. Ara's early versions have been seen in the wild several times, including a presentation of a working prototype at a developer conference last year. 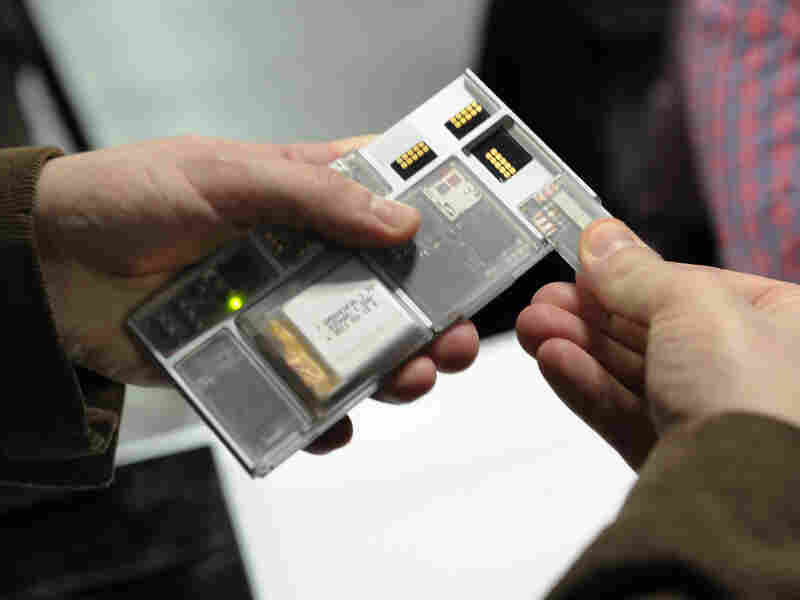 Google's modular Project Ara is showcased at the Engadget Expand conference in New York in 2014. Aside from the geek/customization appeal, the modular technology movement and Google's project specifically are also watched by the environmental community. 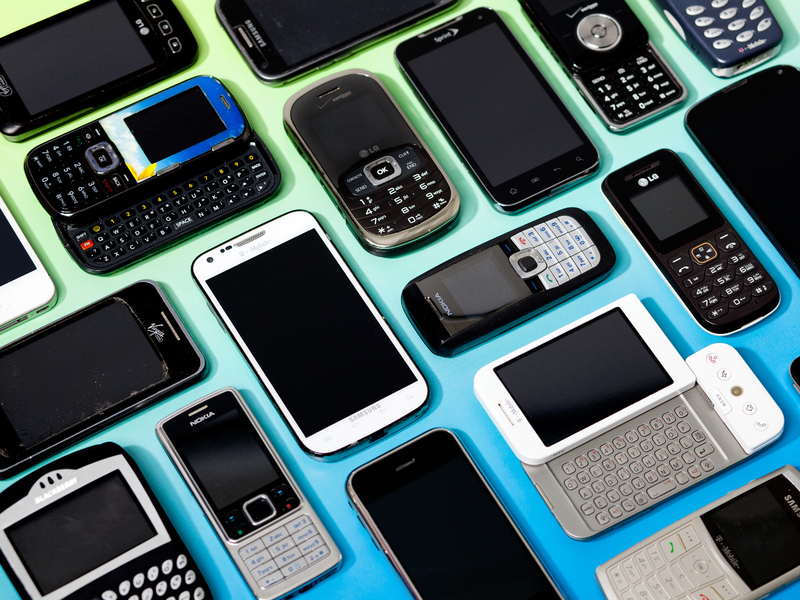 Barbara Kyle, national coordinator of the Electronics TakeBack Coalition, says it might help crystallize people's interest in a longer-lasting, potentially greener phone. Certainly, a lot is unknown about Ara, including the extent to which the production of new modules themselves may create a new stream of electronic waste. And there's another big one: How much will it cost? Kyle thinks if technology is shown to be truly better for the environment, people will be ready to pay: "I think the fact that people buy hybrid cars that cost a whole lot more than nonhybrid cars proves that."